Ross received a certificate of commendation for this report from the Centre for Healthcare Related Infection Surveillance and Prevention (CHRISP). He is passionate about surgery and medical education. Introduction: Dengue is either endemic or epidemic in almost every country located in the tropics. Within northern Australia, dengue occurs in epidemics; however, the Aedes aegypti vector is widespread in the area and thus there is a threat that dengue may become endemic in future years. Case presentation: An 18 year old male was admitted to a rural north Queensland hospital with the provisional diagnosis of dengue fever. No specific consideration was given to the risk that this patient posed to other patients, including a 56 year old male with chronic myeloid leukaemia and prior exposure to dengue. Discussion: Much media and public attention has been given to dengue transmission in the scope of vector control in the community. Hospital-based dengue transmission from patient-to-patient requires consideration so as to minimise unnecessary morbidity and mortality. Vector control within the hospital setting appears to be an appropriate preventative measure in the context of the presented case. Transfusion and transplantation-related transmission of dengue between patients are important considerations. Vertical dengue infection is also noted to be possible. Conclusion: Numerous changes in the management of dengue-infected patients can be made that are economically feasible. Education of healthcare workers is essential to ensure the safety of all patients admitted to hospitals in dengue-affected areas. Bed management in particular is one area that may benefit from increased attention. 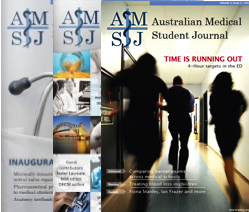 This case report highlights the difficulties of handling a suspected dengue-infected patient from the perspective of an Australian rural hospital. Recommendations are made to improve management of such patients, in particular, embracing technological advancements including digital medical records that are likely to become available in future years. An 18 year old male, patient 1, presented to a rural north Queensland hospital emergency department with a four day history of fever, generalised myalgia and headache. He resided in an area that was known to be in the midst of a dengue outbreak. He had no past medical or surgical history and had never travelled. On examination, the patient’s tympanic temperature was 38.9°C and he had dry mucous membranes. No rash was observed and no other abnormal findings were noted. Laboratory investigations, which included dengue PCR and dengue serology, were taken. He was admitted for observation and given intravenous fluids. A provisional diagnosis of dengue fever was made. The patient was subsequently placed in a room with four beds. Whilst two of the beds in the room did not have patients in them, the remaining bed was occupied by patient 2, a 56 year old male with chronic myeloid leukaemia (CML), who had been hospitalised the previous day with a lower respiratory tract infection. The patient’s medical history was notable for a past episode of dengue fever five years previously following an overseas holiday. The patient with presumed dengue fever remained febrile for two days. He walked around the ward and went outside for cigarettes. He also opened the room window, which was unscreened. Tests subsequently confirmed that he had a dengue viral infection. Whilst no dengue transmission occurred, the incident raised a number of issues for consideration, as no concerns regarding transmission was raised by staff or either patients. The most commonly reported route of infection is via the bite of an infected Aedes mosquito, primarily Aedes aegypti. [2-14] This vector feeds during the day, prefers human blood and breeds in close proximity to humans. [5,12,13] The transmission of dengue has been widely reported in the urban setting and has a geographical distribution including more than 100 countries. [3,13] However, only one study has reported dengue vector transmission from within a hospital. Kularatne et al. (2007) recently described a dengue outbreak that started within a hospital in Sri Lanka and was unique such that a building site next to the hospital provided breeding sites for mosquitoes. Dengue infection was noted to cause significant cardiac dysfunction, and of particular note was that medical students, nurses, doctors and other hospital employees were the main targets. The authors report that at the initial outbreak one medical student died due to shock and severe pulmonary oedema as a result of acute viral myocarditis. This case highlights the risk of dengue transmission within a hospital setting. Taking into account the reported case study and presented evidence, it is clear that patient 1 presented a risk to patient 2. It is essential to acknowledge that dengue transmission can occur within a hospital setting. Whilst only one study has reported vector transmission of dengue within a hospital, it does define the real possibility of transmission associated with close contact and a competent vector. There is also a need to emphasise the fact that patient 1 walked outside the hospital on numerous occasions and that unscreened windows were open within the hospital ward room. Consequently, it can be stated that patient-to-patient dengue infection would have been possible not only for patient 2, but also other admitted patients. Additionally, healthcare workers and community members that lived within the area surrounding the hospital were also at risk. Educational programs for healthcare professionals and patients also warrant consideration. Numerous programs have been established primarily in the developing world and have proven to be beneficial. [26,27] It is important to create innovative education programs aimed at educating those healthcare workers that care for suspected dengue- infected patients as well as members of the public. This is one area that needs to be explored in future years. Infection control is often targeted in tertiary referral centres. This report clearly highlights the importance of appreciating infection control within a rural setting. 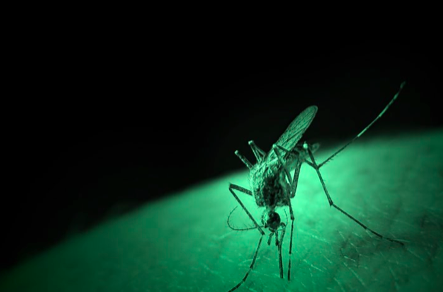 Dengue infection between patients is a possibility with available evidence suggesting that this is most likely to be from exposure of an infected individual to a competent vector. Numerous changes have the potential to decrease the likelihood of dengue infection. Healthcare worker education is a critical component of these changes so that suspected dengue infected patients may also be educated regarding the risk that they represent to members of the public. The utilisation of screened windows, insecticide treated mosquito nets, and patient measures such as wearing protective clothing and applying insect repellents are all preventative measures that need to be considered. Future research is likely to develop technological aides for appropriate bed assignment. This will ensure that unnecessary morbidity and mortality associated with dengue infection are avoided. Informed consent was obtained from the patients for publication of this report.